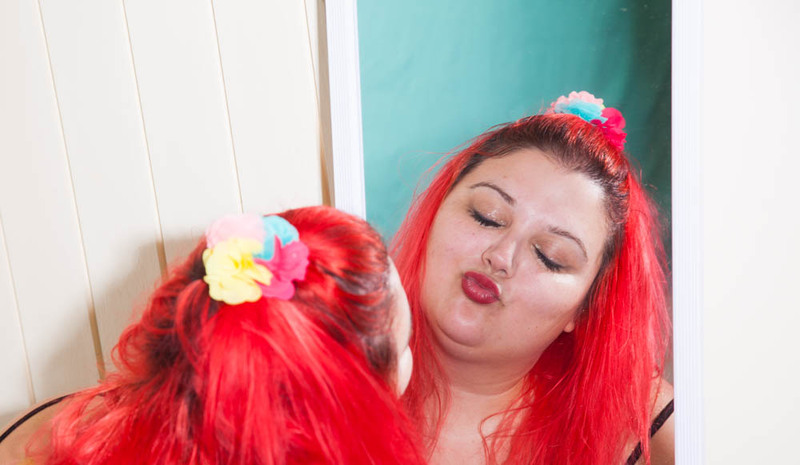 Mirror work is something I learned from Louise Hay, and simply put it’s the act of engaging in positive self-talk, out loud, while looking at yourself in the mirror. More specifically, the positive self-talk takes the form of positive affirmations, and your best results come from making eye contact. It can be very uncomfortable at first, but it’s one of the best self-love techniques for building self-confidence that exists. Positive affirmations are effective on their own when you write them down, repeat them out loud, or read them as reminders on a regular basis, but mirror work takes positive affirmations to the next level because you get to face yourself as you’re saying the thing that may be difficult for you to believe still. You get an immediate visual on how your body reacts to hearing these words. Basically, we can’t hide from ourselves in the mirror. How Do You Start Mirror Work? Go to a place where you can document your experience/journal. Write down what affirmation(s) you used, how comfortable you felt at the beginning and at the end, how long you worked for, etc. 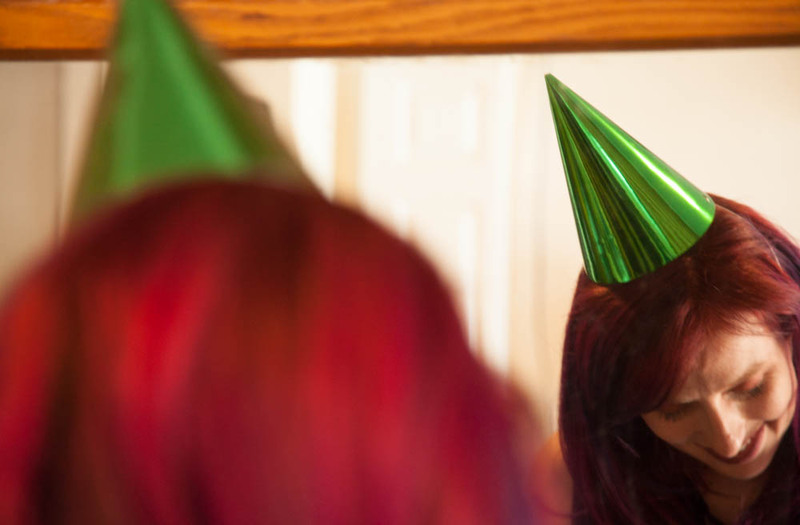 Try sprucing up your mirror with stickers, sticky notes, notes in dry erase marker or lipstick, etc. 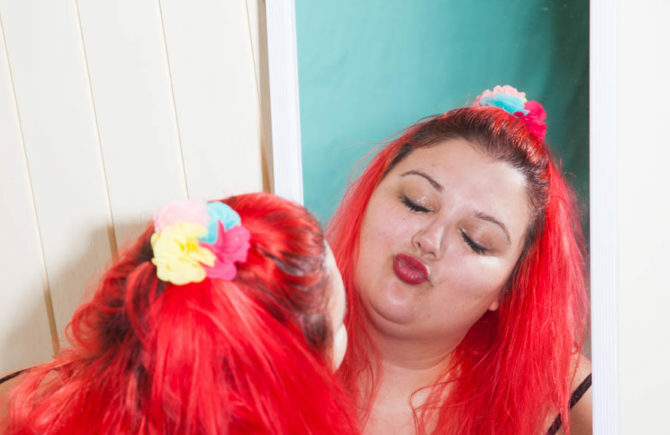 I made an awesome worksheet to plan out your mirror work rituals, including a log for documenting your experiences for my Uncustomary Babe membership group. If you’d like access to those worksheets and a ton of other resources, check out the sign-up page! 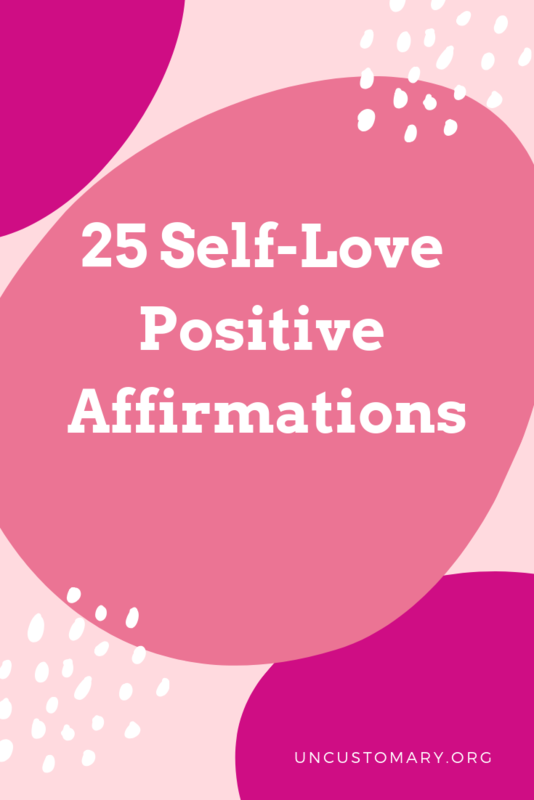 I would like to offer you a free download of 25 self-love themed positive affirmations that you can use to get started if you’re not sure where to start or are having writer’s block with that part! FYI, in my membership group, I release five new affirmations every week (and they come as beautiful graphics that you can share on social media). We’re over 150+ in the archives, and when you join you get immediate access to them plus all the other resources! Serious bang for your buck at $5 a month! Have you ever tried mirror work? What has been your experience?